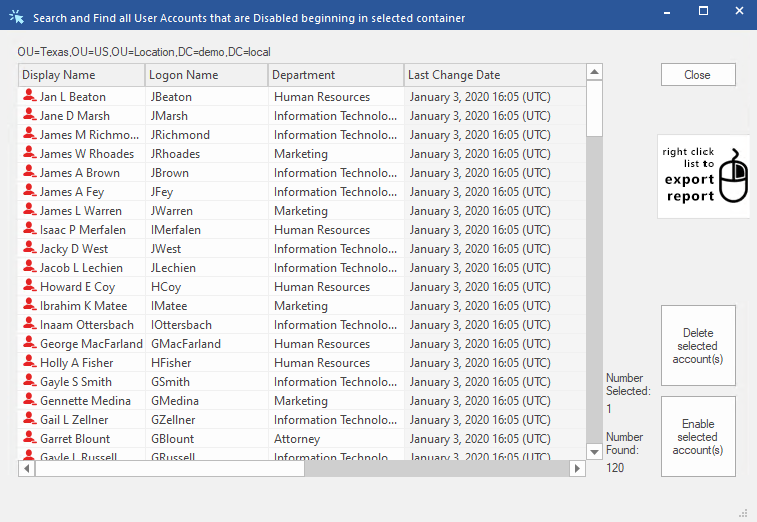 Import Active Directory users, groups, and computers from a CSV file with DSRAZOR for Windows. Quickly create multiple users and automatically perform related tasks, including home directory creation, mailbox creation, and group membership assignment. Easily export your Active Directory objects to CSV for easy reporting, migration, and modification. Use a CSV file to create multiple objects and define their unique attributes. Object-specific tasks can be performed upon import, such as creating a home directory for a user or setting that user's group membership. Imports of bulk data can be scheduled to run without user input. 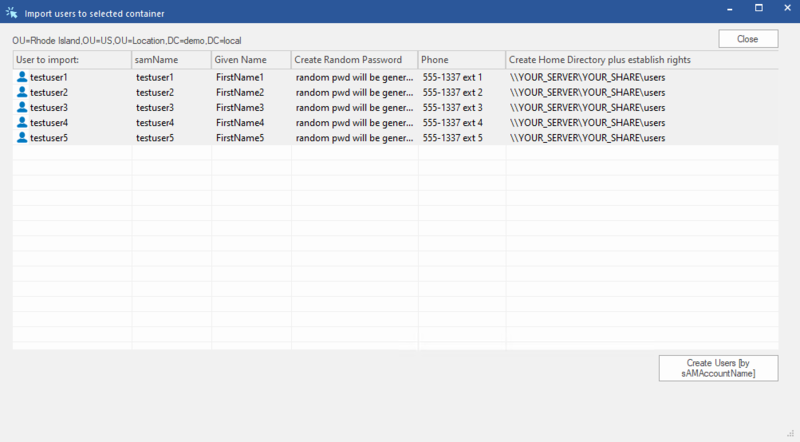 Quickly make mass changes to existing users using a CSV file. Objects can be renamed, moved to different OUs, have their passwords reset, moved to different OUs, and even deleted. Great for environments where users change seasonally. 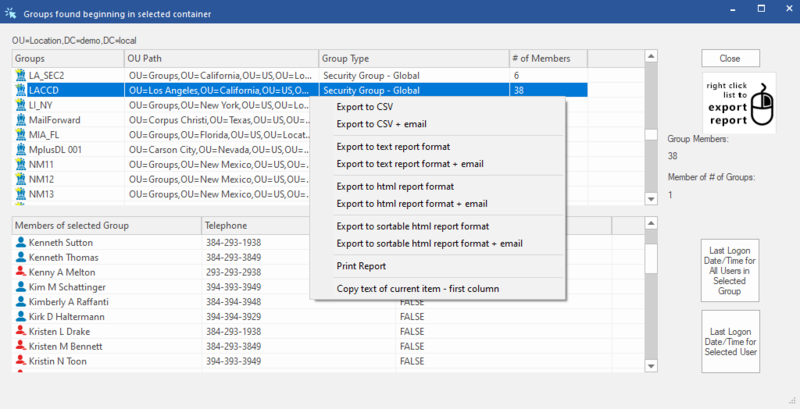 Report on objects and filter based on specific attributes, such as "Groups that have group members" or "users that have never logged in." Any text data in Active Directory can be reported & exported!